I had the pleasure to interview Kelly Bagla, Esq. , CEO of Bagla Law Firm, APC. Kelly is a dynamic powerhouse of an attorney and has lived by the mantra “Grab the world by the pearls! It’s yours for the taking!” Having worked for the largest law firm in the world, with some of the best legal minds in business, Kelly has acquired a wealth of information on what it takes to make and run a successful business. She has made it her mission to share that information with other business owners to help them break the proverbial glass ceiling! 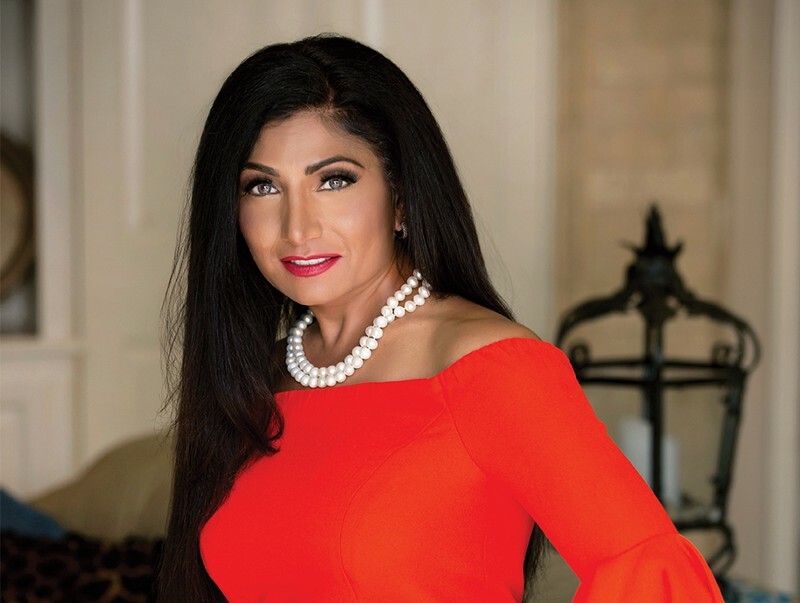 She has a long list of impressive domestic and international clients who have deemed her “Queen of Business Law” and for good reason. She’s tough as nails, smart as a whip and determined to make your business successful! Kelly wrote “Go Legal Yourself!” as a way to finally empower business owners with the best information there is on how to launch, grow and sustain their business legally! By creating the “4 Legal Lifecycles” of a business, Kelly broke down how to start, grow, establish and exit a business into 4 easy steps that can make a business bullet proof and extremely successful! She loves educating people about how to succeed as a business entrepreneur and is especially passionate about working with veterans and women in business! (If dogs could own businesses, she’d help them too!) She’s madly in love with her Marine husband and their 3 beautiful dogs! · Thank you so much for joining us! Can you tell us a story about what brought you to this specific career path? I am the baby of seven and all my siblings are professionals in the medical field, but ever since I was 5 years old, I wanted to be a lawyer. I had no idea what a lawyer was or did at the time, all I knew was that I wanted to be one. The fact that I had no desire to follow in my siblings’ footsteps was another motivation for me to pursue law. Knowing that pursuing a career path in law would be difficult since I would be the first attorney in my family, I stuck to my guns and followed my dram to become an attorney. This has been the best decision of my life. · Can you share the most interesting story that occurred to you in the course of your legal career? One — If you want something, you go after it with all your heart or don’t bother at all. Two — believe in yourself and stay the course because no one else can do it for you. Three — Don’t listen to others who are not vested in your success, this will only lead you to self-doubt. Seeing dad enjoying his business and being the kind of boss, you wanted to work for, I wanted to follow in his footsteps and learn everything I could about business that school could offer. While at college, I took a business law class, because eventually I did want to go to law school, so I thought I’d get my feet wet. The only thing I remember about that class was that I was having a hard time understanding it. My counselor, realizing that I was having a hard time with this class, met with me and encouraged me to pursue another degree discipline, a simpler discipline such as a liberal arts degree. That was not going to be my defining moment, which could have lead me down a completely different path than what I had planned for myself. At that moment, I remembered the lessons I learnt from dad. All I knew was that I wanted to be an attorney and I wanted it from my heart so this counselor’s advice was going to mean nothing. I retook the business law class, passed with an A- and ended up receiving a Bachelor’s degree in Business. I was off to law school. I ended up receiving two law degrees, a Bachelor’s of Laws and a Masters of Law and I started my law career with the largest law firm in the world. Not bad for a girl that was a slow learner. My very first attorney job was with the largest law firm in the world. I loved my time there because I wanted to learn and I learned from the best attorney minds. The honor of working for the best was a massive achievement for someone that had no help, no advice or mentors and for someone that became the first attorney in her family. I wanted to become an attorney and I became one. Knowing who you are is critical if you desire to own your place in the world. When we have our own sense of identity, we are better able to make decisions and navigate life with more ease. Learning about yourselves and developing a solid sense of identity can help you achieve your dreams towards success. · What are some of the most interesting or exciting projects you are working on now? I love helping entrepreneurs protect their hard work because it takes pearls to start a business let alone run one successfully. I’m an entrepreneur so I have firsthand experience of the arduous path. One way I help entrepreneurs protect their hard work is through asset protection. Setting up asset protection plans for business owners is interesting and exciting for me because asset protection takes skill, knowing the law of international jurisdictions, and knowing what tools to implement for your client to maximize their protection. These projects can take anywhere from 4 to 8 months to complete and skipping a step or not knowing what tools to implement can leave the client exposed. You really have to know what you are doing as far as engaging in this type of legal practice. · Who are some of the most interesting people you have interacted with? What was that like? Do you have any stories? My clients range from entrepreneurs to inventors and one of the most interesting people I worked with was a client of mine who has 35 published patents. He is an actual genius but very humble and always willing to teach. I learned a lot from him as far as how to think about ideas and bring them to life and then protecting them by filing a patent. I’m very creative and had my own idea I wanted to bring to life so I spoke with my client and he taught me the process. I enjoyed working with him and learning what legal aspects are important to inventors. Because of my genius client, I learned how to create customized legal startup packages for inventors. · Which people in history inspire you the most? Why? I love reading biographies of leaders because they teach incredible life lessons that one could implement and hopefully achieve their own greatness. Elizabeth II, the Queen of Great Britain is one person that has inspired as far as fulfilling your duties to the fullest. George Washington, the Frist President of the United States of America is another person that has inspired me because he stood against all odds knowing he was out maned against the British forces but he believed in his abilities and followed his heart. The person that has inspired me the most would be the former British Prime Minister, Margaret Thatcher. She rose to such great power, the first female leader of Great Britain, given her origins as a grocer’s daughter and became known as the Iron Lady. She is the epitome of confidence and every woman should strive to create their own path just like she did. · How have you used your success to bring goodness to the world? As a business transactional attorney, I have noticed time and time again that one of the reasons why entrepreneurs fail is because they don’t start their business on the right legal foundation. Eventually, every business will be sued and knowing your personal assets are protected is the biggest peace of mind business owners need for themselves and their family. Unless entrepreneurs hire law firms to help form their business, which obviously costs a lot of money, the only other option for entrepreneurs is DIY with online document preparation companies. The problem there is you don’t know what legal contracts you need or which entity to form for your business. I notice there was very little written as far as providing straightforward non-legalize guidance to entrepreneurs on what to expect when starting a business, growing a business, establishing a business, and eventually selling a business. So, it became my mission to educate entrepreneurs so I wrote Go Legal Yourself, Knowing the Legal Lifecycle of Your Business. The book became a bestseller on Amazon and is a guide for entrepreneurs that explains the four phases of the Business Legal Lifecycle ® and how to set up your business for success from day one. I realized that by just authoring a book was not provided the full spectrum of tools for entrepreneurs, so I founded GoLegalYourself.com, which sells online complete legal packages for entrepreneurs at cost-effective pricing. Starting a business is challenging itself and not knowing what pitfalls to avoid can be very dire. By creating the right legal tools for entrepreneurs to at least start their business on the right legal foundation is my way of bringing goodness to the world. About 13% of businesses in America are made up of small business owners who create the most employment opportunities. As an entrepreneur, I have gone through the same struggles that other entrepreneurs experience on a daily basis. If such struggles continue, the small business ownership could diminish and employment opportunities for many could be lost. One of the struggles faced by entrepreneurs is knowing that the options are limited when it comes to legally starting and growing their business. To help increase the percentage of small business ownership, I created GoLegalYourself.com, which sells online complete legal packages for entrepreneurs at cost-effective pricing. 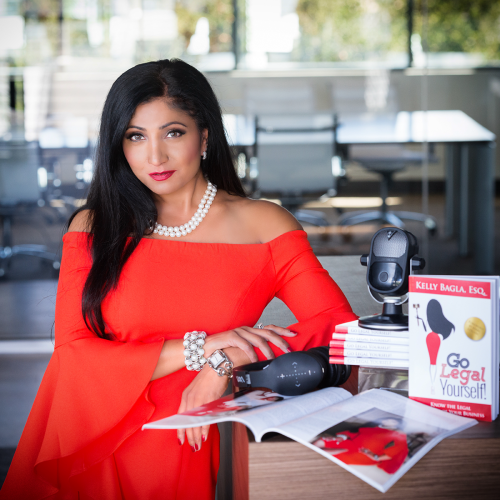 The movement I have started, which brings the most amount of good to the most amount of people, is to educate as many entrepreneurs on how to start their business on the right legal foundation and how to grow your business with confidence with the GoLegalYourself.com tools. · Which tips would you recommend to your colleagues in your industry to help them to thrive and not “burn out”? The biggest tip I can offer my colleagues is to love what you do. It’s very easy to burn out doing what you don’t enjoy and you don’t get any satisfaction out of. There are many lawyers who only work to complete their yearly mandatory legal hours requirement and these are the lawyers usually end up leaving the legal profession early or just stop practicing law. I truly love practicing law and that is I why I have thrived by helping as many clients as I can. · What are your “5 things I wish someone told me when I first started” and why. Please share a story or example for each. 1. How and where to network? When you first start your legal career, regardless of it being at a big law firm or at a small law firm, you will be required to meet and greet new and existing clients. I had no idea where to network let alone how to network. When I started my own firm, I was forced to learn how to choose the right networking events to attend and how to speak with potential clients. If I knew this skill earlier, it would have saved me hours and hours of lost time. As lawyers we are all sales people, otherwise how would we very get a client? So why is it that these types of classes are not taught in law school? We sell out abilities that we are the best attorney for the client but knowing this skill, and it is a skill, would have saved a lot of heart arch and rejection from potential clients. 3. How to run your own practice? Upon graduating from law school, attorneys are expected to work for law firms, it’s just an understanding, but for those who want to carve their own path in the legal industry are never prepared on how to go out on their own and run their own law firm. I learnt the hard way by trial and error and I could have saved a lot of wasted money if I knew the basis of what to expect and what tools I would need for my firm. 4. How much time is involved? Law school costs a lot of money, unless you have a rich uncle, you are required to take on student loans to pay for your education. These loans will follow you until you pay them off and don’t forget the interest you’ll be expected to pay. For the first few years expect to have very little savings as your paycheck will go to paying your debts first and then it takes another few years before you actually start to make some money. Being a lawyer can be glamorous but just be prepared that it will not happen overnight. I failed to share that I am the inventor or Eardorables ®, a line of plush toys that are being sold by Mattel. I’m an avid watcher of the Shark Tank and I absolutely love Mr. Wonderful. I love how pragmatic he is when it comes to making money and how he views opportunities. I would love to chance to pick his brain on how I can make GoLegalYourself.com a nation success. · How can our readers follow you on social media?